Like the title says… Life is funny. And I don’t just mean 10,000-forks-when-all-you-need-is-a-knife-isn’t-it-ironic-funny, I mean Gut-busting, Mind-blowing, Pants-Wetting FUNNY. 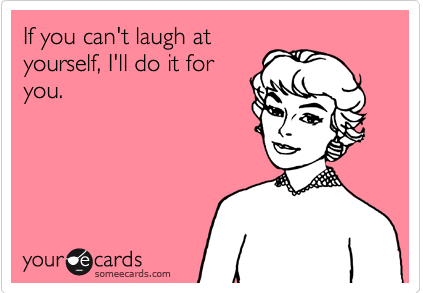 So go ahead and laugh. If you can manage to do that, your life will improve 10,000%. I money-back guarantee it. And if it doesn’t… you know where to find me.